Tank fittings are industry standard this is an ideal replacement for you old tank that may have an internal bladder rupture! 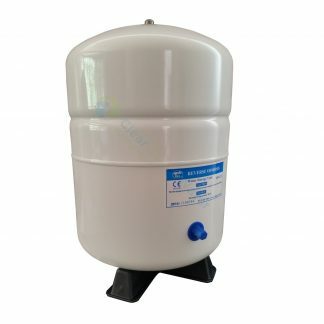 Deep drawn steel domes and precision weld seams give our reverse osmosis tanks unparalleled quality. All tanks are quality tested at multiple stages in the production process to ensure the srtuctural integrity. 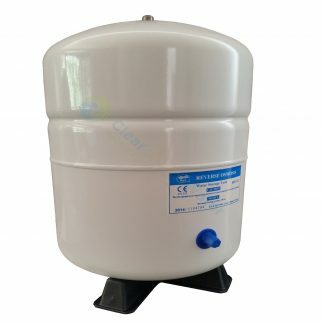 All tanks are built with sealed brass air valves and O-Ring sealed air valve caps to ensure leak free chambers which eliminates the need to check pre-charged air pressure resulting in low on-going maintenance. The water storage chamber is assembled using a virgin polypropylene liner, high grade Chlorobutyl Diaphragm and patented stainless steel water connection. In addition, every diaphragm is post cured prior to construction ensuring tasteless. odourless, pure water.